Are electric cars in trend? In 2014, electric vehicles in Norway became 20.3%. Now every fifth vehicle registered in this Scandinavian country has an electric motor. This is largely due to the efforts of the state. The purchase of an electric car is not taxed, the owners of such cars are provided with free travel on paid sections of the routes, as well as preferential parking in the centers of large cities. And yet, before becoming a mainstream, electric cars are still far away. In order to seriously compete with gasoline cars, the industry has to eliminate many more minuses in the design and operation of electric cars. There are many negative aspects associated with the use of such machines. For example, until now they do not allow to make long trips for several hundred kilometers and are intended primarily for movement within a single city. From this minus it would be easy to get rid of by building a developed network of charging stations for electric car batteries. But the time for the full charge of a modern electric car can be at best an hour, but it usually takes several hours to charge the vehicle. Even for quick and incomplete charging, it takes at least 30 minutes. Manufacturers of electric cars are advised to charge their cars at night at home. Electric cars are very expensive. Prices for the economy class start from 20 or 30 thousand dollars. Tesla Model S will cost the buyer as early as 100 thousand. In the US over the past two years, the number of leasing programs and long-term lease of electric cars has increased, however, even here the price for an average buyer remains quite high. The cheapest offers start from 200 dollars a month without taking into account taxes and additional fees. The same Model S in 2013 could be leased for $ 500 per month. To do this, it was necessary to deposit 10 percent of the total cost of the machine. In reality, monthly payments under the program were more than a thousand dollars, as the advertising offer also gave a price without taking into account local and federal taxes. American experts in the field of renewable energy believe: cheap oil will begin to negatively affect the sales of electricity-powered cars as early as 2015. Onstantly rising in price fuel fueled people to refuse petrol and to change in electromobiles. Similarly, inexpensive oil will gradually increase the popularity of large SUVs. 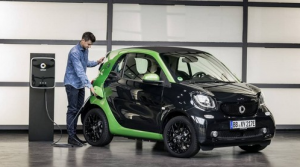 Especially it will be noticeable in the US, where large, consuming a lot of gasoline cars are traditionally more popular than ordinary urban models. Ferrari will create a car on electric batteries. Theme Designed by Rohit Tripathi. © 2019 Electrocars. All Rights Reserved.